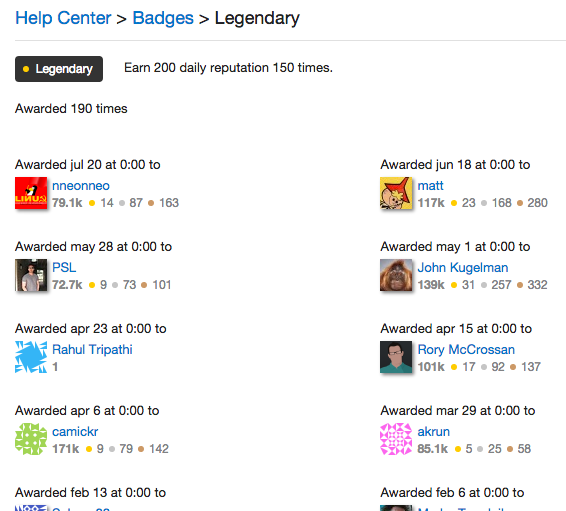 I was looking at the list of users who earned the legendary badge. 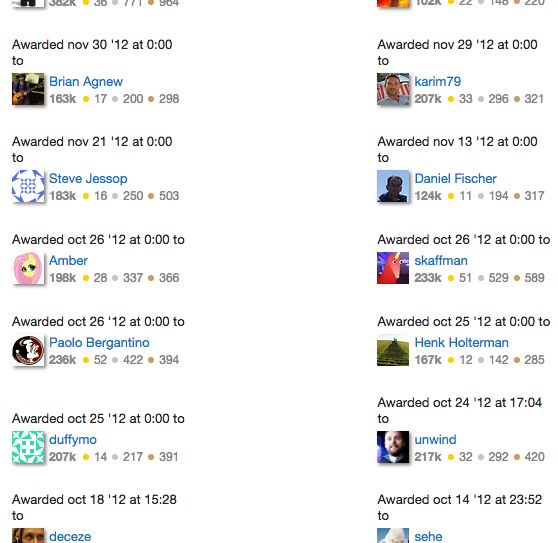 Since October 24, 2014, all users who earned this badged earned it at 0:00. As far as I'm concerned, that time does not exist. Either this is a bug, or the zeroth hour is just a special time when legends choose to reveal themselves. As far as I'm concerned, that time does not exist. I'd like to introduce you to a 24 hour clock. 0:00 is midnight. Since reputation can go up and down through out the day, awarding it the instant someone reaches 200 points is rather premature. If someone comes along and down votes you 5 minutes later, you didn't earn 200 points that day. You earned 198. Additionally, it's a very rare badge. It's only been awarded 14 times in 2015 (as of July 24). There is no need to constantly run the check to see if someone has met the criteria for this badge when it is happening, on average, twice a month. Scheduling such a check makes sense to save resources. Midnight is a fairly normal time to run a scheduled task. Not the answer you're looking for? Browse other questions tagged bug status-bydesign badges timestamps daily-reputation-badges . What is the point of the “Archaeologist” and “Excavator” badges?